Set up budgets, customize purchase orders, set up approval routing, invite team members. 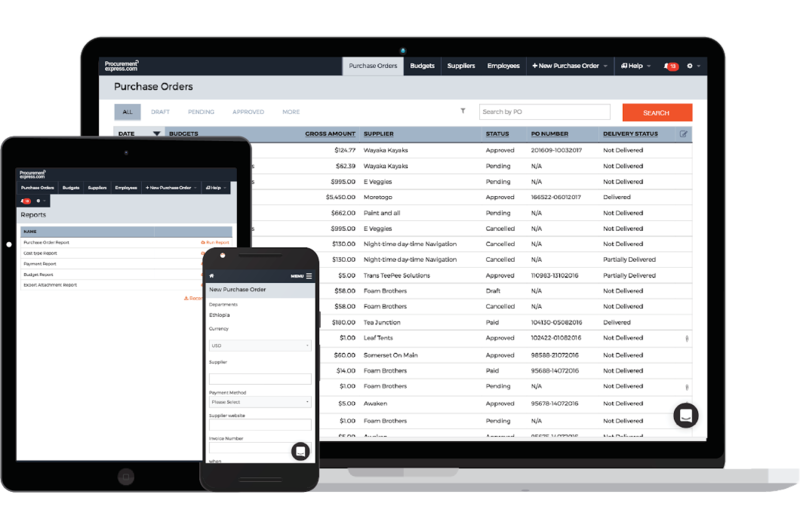 ProcurementExpress.com accelerates purchase orders, gives you close control over budgets and liberates you from paperwork. Take ProcurementExpress.com for a spin!